Three local experts in horticulture are to have their knowledge tested when they are grilled by enthusiasts as a fund raiser for this year’s Wotton in Bloom project at the Electric Picture House on 7th June. Wotton’s Jane Fearnley-Whittingstall (picture on right by Neil Hepworth), will act as Chair for the event. Besides being mother to celebrity chef Hugh Fearnley-Whittingstall she has worked as a garden designer for the last 30 years. Specialising in traditional gardens she has exhibited at the Chelsea Flower Show on many occasions and in doing so has won two gold medals. She also has a string of successful gardening books to her name. 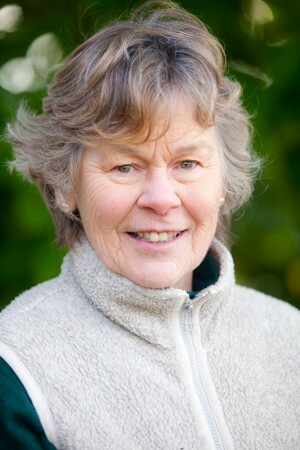 Sue Gibson trained as a gardener with the National Trust and now runs her own gardening school in Slimbridge where she teaches beginners in Garden Design and holds practical workshops. garden tours and is a keen member of the Wotton Gardening Society. Currently she is training to become a member of The Judges Guild which certifies judges for all types of competitions. Wotton in Bloom is a project being jointly organised by the Wotton-under-Edge Chamber of Trade and the town’s Regeneration Partnership. Last year it raised around £10000 to supply hanging baskets throughout the centre of the town. Tuesday 7th June at 7:30pm. Tickets at £10 each (including some refreshments) are available from the cinema, Cuzuns in the High Street, Wotton and the Wotton Farm Shop.